Dean Schwartz can tie his interest in legal education reform to a moment, years ago, when his wife mocked him. She came to visit his contracts class and, after offering mostly positive feedback, made a statement that echoes in his head to this day, “You have no idea when it works, why it works and when it fails, why it fails.” He had to admit she was right, and he agreed to take an online class her college was offering so he could find out. Twelve years, 10 books, and three law review articles, more than 190 presentations at conferences and law schools later, Dean Schwartz is generally regarded as one of the leading experts on law teaching, learning, assessment and curriculum design in the United States. 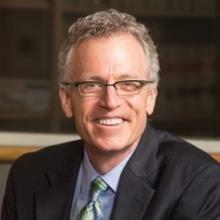 Dean Schwartz was voted one of National Jurist magazine’s 2014 "25 Most Influential People in Legal Education." Dean Schwartz has a passion for preparing new law students to be effective law students and for preparing all law students to be skilled, happy, balanced, professional, service-oriented, problem-solving lawyers. Dean Schwartz’s scholarly works include Teaching Law by Design: Engaging Students from the Syllabus to the Final Exam (Carolina Academic Press 2010), Techniques for Teaching Law II(Carolina Academic Press 2011) and, most recently, What the Best Law Teachers Do (Harvard University Press 2013), the product of a four-year, qualitative study of 26 of the most effective law teachers in the United States. Dean Schwartz has a law review article forthcoming this fall in theValparaiso Law Review and another book scheduled to be published in spring 2014, Assessment: A Comprehensive Guidebook for Law Schools (Carolina Academic Press). Dean Schwartz’s books also include a contracts casebook, which was the first book in a casebook series for which he is the designer and editor. Dean Schwartz is the former Academic Curriculum Consultant to the Council on Legal Education Opportunity (CLEO), and he is the chair of the AALS Section on Teaching Methods and the former chair of the AALS Section on Balance in Legal Education. He is a member of the Editorial Advisory Board, Journal of Experiential Learning and a member of the Law Casebook Series Advisory Board, Carolina Academic Press. Dean Schwartz’s conference presentations include an AALS Presidential Program, multiple plenary sessions at a variety of conferences, and the keynote address at a national teaching conference at a leading German law school. He has trained dozens of law teachers in the United States as well as the Republic of Georgia, Iran, Turkey, and Chile.